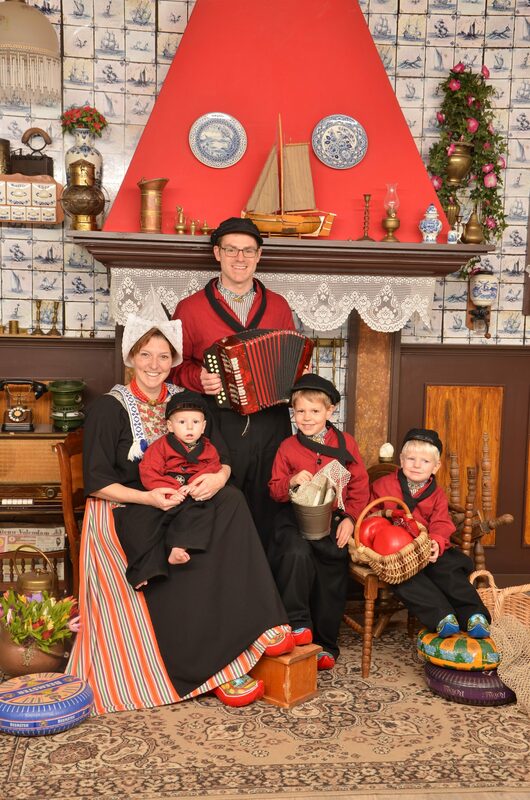 The Poznan Croissant Museum is one of those experiences your kids will remember forever. 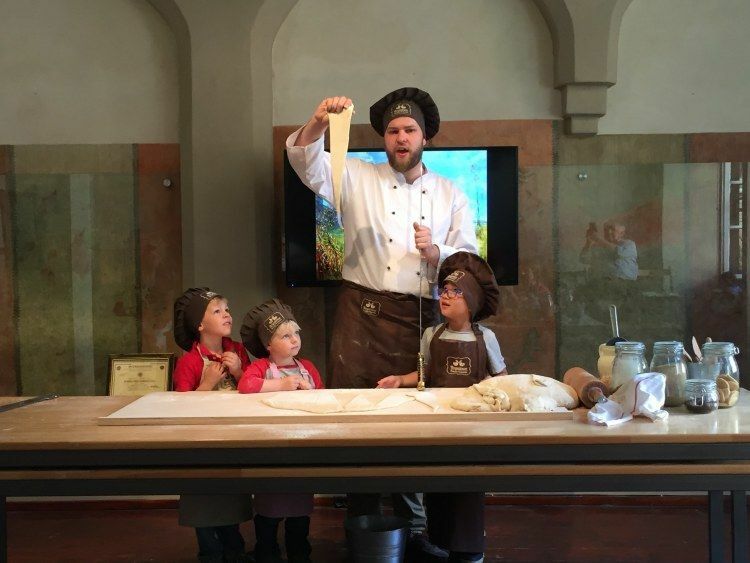 Admittedly, the Littles get to do a lot of fun things, but learning and making Saint Martin Croissants at the Poznan Croissant Museum is something my kids are still talking about months later. The Poznan Croissant Museum is housed in a renaissance tenement house just opposite the town hall. You’ll enter from the back though. It is easy enough to find thanks to a hanging sign (Rogalowe). Here you will get a live demonstration of how to make a Saint Martin Croissant and have the opportunity to taste one. Shows are available in English and Polish. You should stop by to purchase your tickets when you arrive in Poznan. Shows are limited to 50 and they do sometimes sell out. You need to arrive back at the museum 10 min before your show so you can be shown up to the room and be seated. Once we were seated the children were asked if they wanted to help. Those who did were outfitted in aprons. The kids were invited up to the chef’s table to assist. Meanwhile we were introduced to all the important ingredients that go into a Saint Martin’s croissant. The first step was to pound the dough. The kids worked hard to punch their dough down. Then they rolled the dough out to the perfect thickness. Then they used a long sword to cut the pastry into the perfect shape. This was by far everyone’s favorite part. We had to check each one to make sure it was a long triangle. Then it’s time to bake them. They don’t bake the ones the kids make. They put that dough in the back and bring out some new ones to show everyone. Now it’s time to top them. The more topping the better. A finished Saint Martin’s Croissant! Then it’s time to guess the weight. If you guess the weight correctly, you go home with this freshly topped croissant. Next you get a large piece of a fresh croissant to taste while they show a movie about Saint Martin and the legend of the croissant. We didn’t win the croissant, so we went across the street to the bakery and bought a few of our own to enjoy near one of the fountains in Poznan’s main square. We loved how the presentation integrated the kids. They were so busy touching and doing stuff they listened happily to all the stories about Poznan and the Saint Martin Croissant. It was interesting as an adult to learn about it. The kids now make these little croissants out of Play Doh or extra pieces of pizza dough. It is a really fun way to remember our time in Poznan.